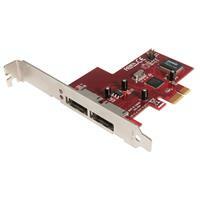 This 2 Port PCI Express eSATA Controller Adapter Card offers simple connectivity between a host computer and eSATA devices. 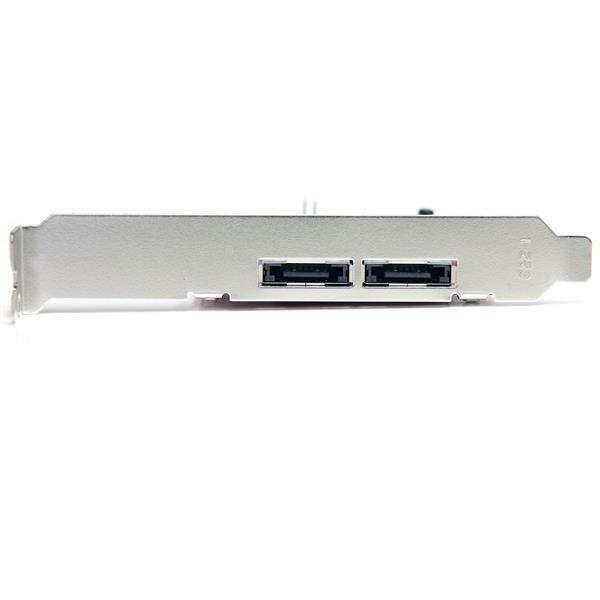 Providing two eSATA ports the adapter card offers a cost-effective solution for connecting hot-pluggable, high-speed storage, and in turn allows for easier data backups and archiving. With full support for SATA 300 (SATA II) hard drives and data transfer speeds of up to 3 Gbps, the adapter card features a native PCI Express single chipset that provides enhanced compatibility, reliability and performance for external SATA storage needs. The PCI Express eSATA controller card also features port multiplier capability with command-based switching for connecting multiple external hard drives to a host Windows® system through a single external SATA connection. 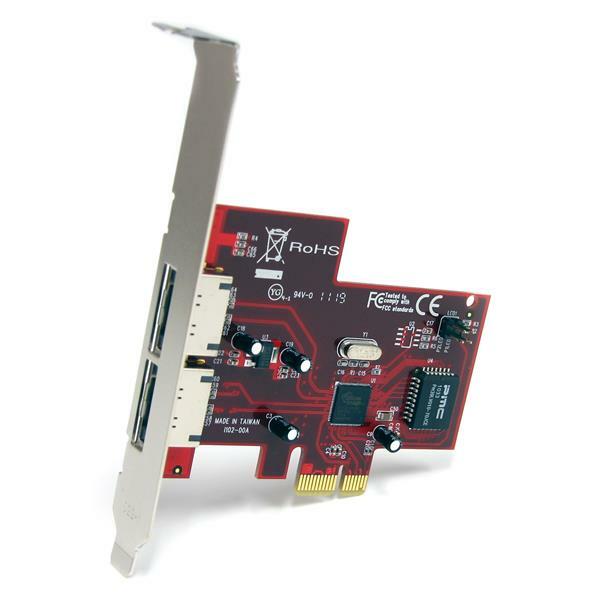 A dual profile solution, the eSATA controller card includes a low profile/half-height bracket for adapting to slimline or small form factor system applications.